With your kids out of school, do you ever hear “Mommy, Daddy, I’m bored”? When their adult years come, they’ll never have to worry about being bored again. But until then—how can you help entertain your kids on summer vacation? 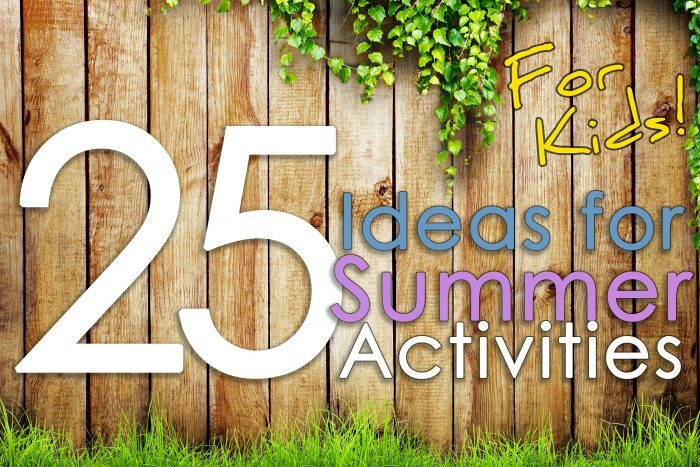 Here’s some ideas for your summer fun. Have a picnic under a shady tree in the park. Drive-In movie, when’s the last time you went to one of those?! Bike rides with the neighbor children! Take them to a waterpark, by the time you come home, they’ll be worn out! Nature walks! Show them cool insects and teach them what kind of plants are on the trail! Take them berry picking somewhere local. Or, plant your own garden with the kids—with fruit or flowers! Visit a local state park. Teach them the beauty of the world around them! Do flashcards to refresh their memory on what they learned at school. Take them to a pottery painting place! Build a fort in the living room. Have a movie night incorporated with special treats such as popcorn, candy, sodapop, all the things you typically keep them away from! Set up an area for them to play with shaving cream. Have a family kickball (or any other sport) game in the backyard! Teach them to fly a kite. Take a trip to the beach, even if it’s at the local lake. Spend time in the treehouse.